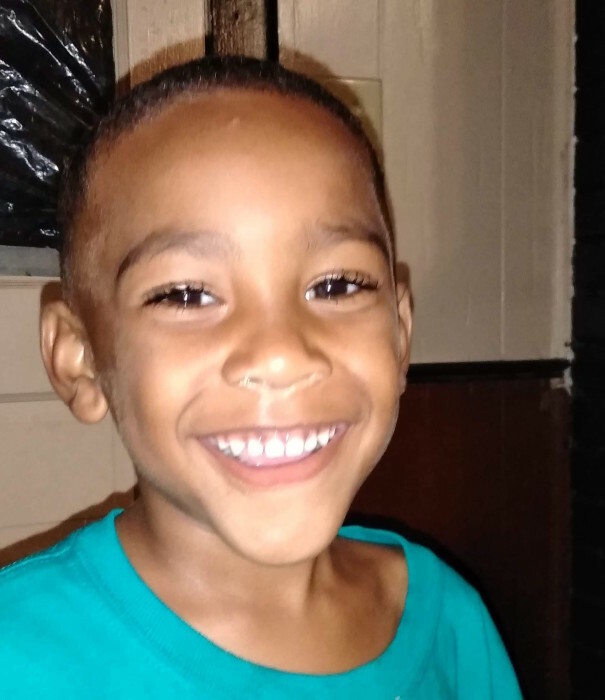 God reached down and wrapped His arms around His precious little angel Ky’Shawn Rasheen Galishaw on March 22, 2019. His life ended here on earth but started in heaven the day his life was taken away. He was born on November 30, 2013 in Orangeburg, South Carolina. Ky’Shawn, affectionately known as “Ky-Ky,” enjoyed spending time with his Granddaddy, Walter Brailey, who he fondly referred to as “DaddyGrandaddy.” While he loved everyone, his life was centered around his “Daddy-Granddaddy”. Ky-Ky was a little business man in his own way, he had his own little phone services. Whenever he wanted to get in touch with his “Daddy-Granddaddy,” he would ask anyone he knew to make a call for him. He would ask his mommy, his stepdaddy, his grandmamma, his great-aunt, his cousin, and his little friends to call his “Daddy-Granddaddy” to come and pick him up. Ky-Ky would even ask his two sisters, Zekeyia and TyNeka, to call his “Daddy-Granddaddy” to come and pick him up, even though their cell-phones did not work. In fact, he would ask anyone to call his “DaddayGranddaddy”. He was so much fun to be around, but he would leave your side in a quick second, if his “Daddy-Granddaddy” would come around. Ky-Ky knew he could get anything from his “Daddy-Granddaddy” and he would use that to his advantage. As soon as he saw his “Daddy-Granddaddy” he asked “you got my $2?” So one day his “Daddy-Granddaddy” gave him $5 and he said “noooooooooo, Daddy-Granddaddy I want my $2 so I can have a lot of money!” He knew that he would have money to put in both of his pockets! “Daddy-Granddaddy” was happy that he only had to give him $2 rather than $5. Ky-Ky never understood that $5 had more value than $2, he just wanted a lot of money. He made all of us laugh with his concept of what more meant to him! When Ky-Ky went to his church (St. John A.M.E. Church) and Ms. Marsha Bellinger would sing “Jesus Can Work It Out”, he would say to his Mom, “Mommmaaaa Ms. Bellinger sung that song today,” then he started singing the song, but with a few wrong words, and that made us laugh at his lyrics of the song. Ky-Ky will forever be loved by his mother and stepfather: Tameka and Willie Alston of the home; his father: Frederick Gallishaw of Syracuse, NY; sisters: Zekeyia and Ty’Neka of the home; maternal grandparents: Walter (Cammy Grate) Brailey of Orangeburg, SC; grandmother: Bessie (James) Ryant of Orangeburg, SC; paternal grandparents: Emma (Larry) Gallishaw of Syracuse, NY; great-grandmother: Helen Johnson of Orangeburg, SC; a host of aunts, uncles, great aunts, great uncles, other relatives and friends who will miss his smile and energy. Ky-Ky brought the sunshine in our lives and he will be remembered as a bubbly, smiling angel! The viewing will be held on Thursday, March 28, 2019 at Glover's Funeral Home from 1:00pm until 8:00pm. The funeral will take place on Friday, March 29, 2019 at Glover's Funeral Home at 11:00am.